According to a recent news feature from CBS Local Boston, a woman has just been arrested after she allegedly crashed into a Massachusetts State Police Cruiser in Boston, injuring a trooper. Authorities say the alleged drunk driving crash occurred in on Route 93 in Boston near the Mass Ave exit around 1:30 a.m. The alleged drunk driver was in a 2010 Chevy Malibu. A spokesperson for the Massachusetts State Police (MSP) say the Chevy Malibu was being driven by a 21-year-old woman who was operating her motor vehicle under the influence of alcohol at the time of the accident. Specifically, the allegations are that she rear-ended the trooper’s cruiser with enough force to cause an injury. The trooper was conscious following the Boston drunk driving accident and was able to radio for backup. When first responders arrived on the scene, they were able to provide immediate medical attention to the trooper and take him to the nearby Tufts Medical Center located in Boston’s Chinatown neighborhood. While his exact medical condition is not fully known at this time, it is believed that his injuries were not life threatening, and he was released that same day from the hospital. As for the alleged drunk driver, she was charged with operating a motor vehicle under the influence of intoxicating liquor or drugs (OUI), failure to stop for an emergency vehicle, and was likely cited for other related moving violations, as is often the case. It is important to note that this driver has merely been accused of a crime but has not been convicted of any offense in connection with this alleged drunk driving accident. Therefore, she is presumed innocent unless and until she is proven guilty in a court of law beyond a reasonable double by a judge or jury. If you were injured in a drunk driving accident in Boston, you should contact an experienced attorney as soon as possible. There are a variety of reasons why you should not delay. One of these reasons is that some evidence will not last forever and therefore must be preserved. 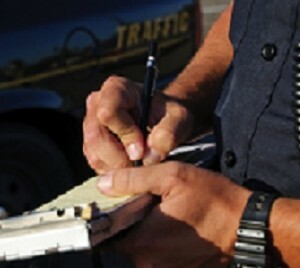 In some cases, liability is clear (called a clear liability case) and in other cases, there is a dispute as to who is at fault in an accident. If the liability is in dispute, your attorney will need to get to work as quickly as possible to preserve any evidence that shows the other side was at fault. One of the most common types of evidence that must be preserved is video evidence. These days, we are well beyond the use of magnetic videotapes that got erased each week and recorded over. However, even with today’s digital recording systems, data storage is not infinite and it is not always cheap. For this reason, if nobody requests a recording be preserved within a set period of time, that recording may likely be erased to make room for new recordings on the system. Some systems will keep data for three months, and others will keep it for 30 days. The point is, you want to make sure you have an attorney who will send a preservation letter to the owner or operator of the security camera that was likely to capture the accident as soon as possible.